It seems easy, right? Just choose which social networks you want to appear on and then post away! Wrong. Unfortunately, many businesses have taken the approach of tools before strategy and the results are, not surprisingly, poor. A posting schedule lacks focus, approach, and direction, which are the crucial first steps in driving your business’ success. Social media is just another tool in the marketing tool box, much like your website, advertising, special promotions, and campaigns, so you need to look at creating a social media strategy BEFORE you decide on which network to use (Facebook, LinkedIn, Pinterest, Twitter, Instagram, etc.). Tools need to be considered last, not first. Why? Because tools change. They always do. There was a time when Netscape seemed invincible. Yahoo, too. And how can we forget about MySpace. If you fall in love with tools, you’ll constantly be changing directions, with no real plan to guide your way. 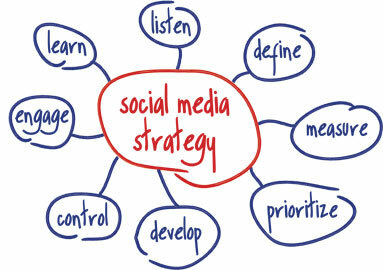 The strategy will further outline how you brand yourself in social media networks. For businesses with an established brand, this may not be a problem, but you will need to investigate how your offline branding strategy translates into social media marketing. Unless you have the internal skills and expertise, I’d strongly recommend you engage the services of a strategic marketer to help you create your strategy. In addition to kicking off the strategy with a clear definition of what makes your business unique, you’ll want to make sure your strategy includes consideration of what your relationship is with your audience, how they use social media, how you’ll deal with unfavourable comments, what resources will monitor the conversations and what metrics you are going to use to determine your success. What do you think? What are your special tips for making social media engagement effective at driving your business’s success? I look forward to your comments below. Want proven results from your marketing- who doesn’t? To really reap the benefits of your marketing activities, you’ll need to have both a marketing strategy and a marketing plan. 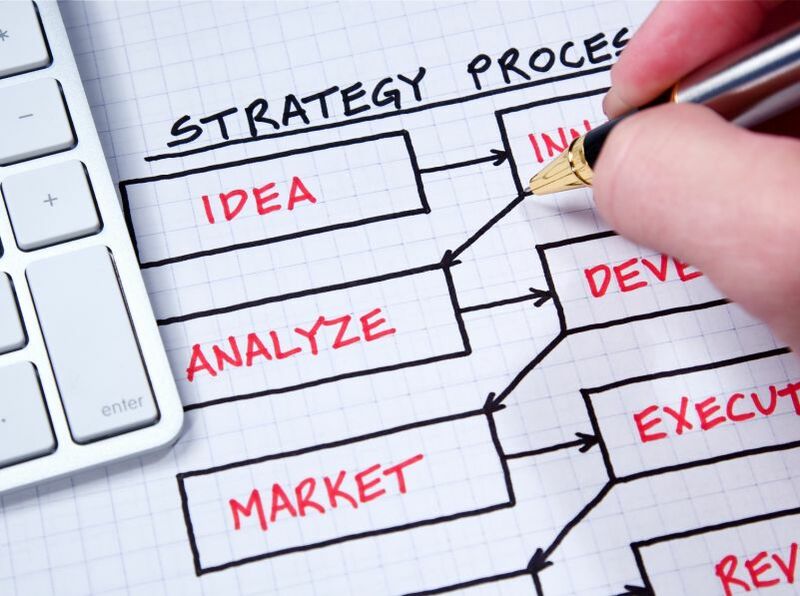 The marketing plan, also sometimes referred to as a tactical plan, comes as a result of having a clearly defined strategy. With your strategy in hand, you can then create a plan that targets your audience with activities that resonate with them. e.g. If you want to target teens, you wouldn’t place an ad in a print publication as this demographic is engaged through online media. The marketing plan outlines the details of the tactics (roads) you will take to attract new business. It is a practical application of your marketing strategy, which includes details of what marketing activities you need to implement (online, website, advertising, videos, radio, etc.) to support the strategy in getting your business where you want it to go. The marketing strategy is your road map – the holy grail, if you will. It is shaped by your overall business goals and strong market research and includes a definition of your business, a description of your products or services, a profile of your target audiences or clients, and a definition of your company’s role in relation to the competition. The marketing strategy is essentially a document that outlines who you are, why you are unique, and what value you bring to your targeted audience. As a strategic marketing expert, I can assure you that creating a marketing strategy is essential if you want proven results. I’ve outlined below a few of the preliminary questions you need to consider when engaging a marketing expert/agency or working with your internal team. What do you think is your unique selling proposition versus the competition? Why is this unique selling proposition compelling to your audience? Have you done any client surveys? Who are your key competitors? Have you conducted any market or competitive research? Is your pricing inline with your competitors or at parity? 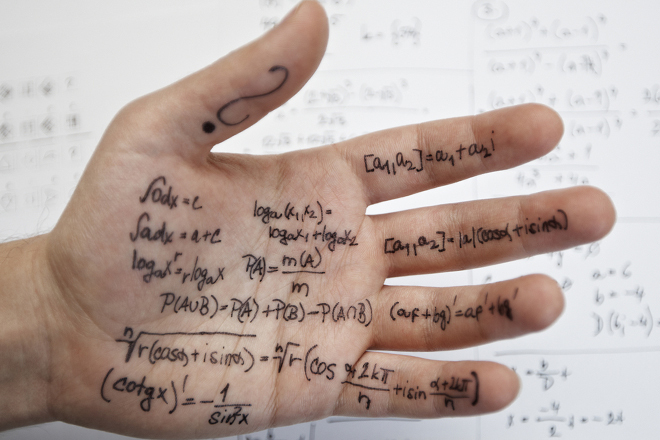 What is the ROI for all of your marketing tactics to date? Is your business trying to lead or follow industry pricing? If you are serious about your marketing and want proven results, then stop buying and implementing adhoc solutions that are not tied to a strategy. Today’s economy is challenging for many businesses, but it’s an even bigger challenge for the SMB owner, who is forced to use increasingly smaller marketing budgets to increase brand recognition and drive sales through lead generation tactics. One such lead gen tactic is Google AdWords. You’ve seen those ads that appear on the side of the page every time you search for something on Google. Businesses bid for this online advertising through Google AdWords. All you have to do is create an ad, and choose specific search keywords which you would like to target, and, voila! 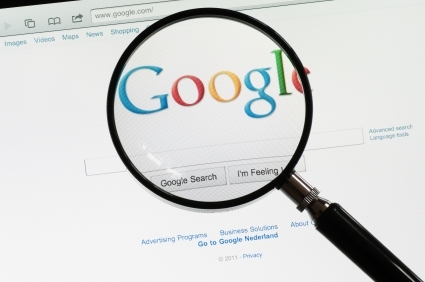 Your ads might appear on Google, next to the search results. The idea is that people interested in your product/service can simply click on your ad to either make a purchase or learn more about your company. Sounds simple, right? Well, from a conceptual standpoint, it is. In practice, however, we have found that for many of our small business clients, using Google AdWords is more of a science. Finding the “right” balance of key words, with the words used in the ad, together with the right bid amount takes many, many hours of ad monitoring, key word adjustment, ads revisions, as well as working to increase ad click-through rates and daily budgets. Google AdWords is generally thought of as an ideal advertising “add-on” for small businesses with limited budgets, but even if you know what you’re doing, depending on your industry and keywords, it can be an expensive venture, and therefore needs to be closely monitored (in fact, hourly monitoring is best!). Here are a few lessons that we’ve learned about Google Adwords for small business that I’d recommend to any small business considering investing in this advertising program. Before you create your ad, spend some time reviewing your web analytics to see what terms people are using to find you online at this point. Google Analytics offers this type of information. In combination with the keyword tool Google Ad Words provides, create a list of targeted keywords (narrow these down to focus on a specific service/product and your targeted audience). Create two very targeted ads. Always create two ads, so you can see which one is doing better, and simply replace it as the campaign evolves. Decide on your maximum monthly budget (I suggest being able to spend at least $100 a month). Direct the ad to link to a specific page on your site. Or, if you have the budget, create a landing page on your site specifically for this ad. For services, this page needs to have the ability to capture lead gen via a form or download. For products, this page needs to have a special offer. Launch the campaign, and monitor it hourly. Keep a close eye not just on your cost-per-click (CPC), and the Average CPC (how much you are paying on average per click), but also the first page bid estimate (which tells you how much you need to spend to be on the first page). These three areas will help you to decide which terms you may want to pause, and which ones you might want to increase your bid rate on. You’ll need to make sure that you have metrics on your website to track the number of people that are actually coming to the linked page via Google. Run the ad campaign for a month (if funds permit), and generate a report at the end of each week to capture the CPC, which key terms did well, increase in traffic to your site via the ad, how many leads were generated (or products sold), and note if there is a pattern emerging. For example, you might notice that there are lots of clicks on Thursday and Friday mornings, and it tapers off over the weekend, and early in the week. You can then decide to put more money towards your CPC on Thursday and Fridays. I have tried to capture the basics to help create and launch your Google AdWord campaign, but it’s worth noting that this tool has a huge number of functions. There are other options to consider, including impression vs. clicks; how to increase your quality score; what is the advantage of display networks vs. search; what are filters and ad extensions; and how should you determine your campaign settings and so much more. With such a deep online advertising tool with a multitude of variables you can see why, if used correctly, Google AdWords has the potential to increase your ROI. It does, however, require considerable thought, time and effort to make it work for your business. Have you used Google AdWords in your small business? If so, have you found it helpful? Has it increased your ROI? Do you have any questions about how to set up a Google AdWords campaign? Please share your questions and comments below. Who Needs Integrity in Marketing? As part of my business development strategy, I help business owners understand the WHY as well as the HOW behind their marketing, as I have seen, time and time again, many businesses hoodwinked by self-proclaimed marketing experts promising results from a carbon-copied set of tactics. As a business owner, I want my peers to know what questions to ask! I have dedicated my business and this blog specifically to helping medium-sized business owners because they often fall prey to unscrupulous companies looking to make a quick buck. I feel that these growing organizations, the backbone of our Canadian economy, are being taken advantage of by an unregulated industry that is just as likely to sell websites as it is to sell iPods or mugs. They approach the small to mid-sized business owner with flashy razzle-dazzle and some even “talk the talk”, hitting them up for thousands of dollars in website design and site management with no intent to actually help the client. Like most of us, unless you know what you are looking for, you don’t know what you don’t know. As such, I have outlined a few questions that will hopefully protect you, the small to mid-sized business owner, against web designers or web programmers calling themselves marketers. If you need help in deciphering the legitimate companies from the charlatans, consult a real marketing consultant to help guide you. When a business owner wonders why their brochures or flyers, e-newsletters or e-blasts are not working for them, or says that they really want to create a new website or add QR codes to their business cards – as a marketing professional – I have to put on the brakes and ask them why they want to do so. How did they hear you needed a new site – e.g. solicitation via email or online? How well-written was the email or letter of solicitation? Did it provide you with links to projects they have done? Ask to have a meeting with them at their office. This will give you some indication if they have a legitimate business. If they work from home, then they should be comfortable telling you that. When you meet with them, do they spend most of the meeting talking about what they can do for you, or on finding out more about your company and your challenges and needs? If it’s all about them, you might expect your site project to be as well. Did they claim to be a web designer or marketer? Can they substantiate their claims of experience and practice? Do they have examples of their work? You need to know exactly what their involvement was in the development of the site. Did they design the site? Did they design it using a website template (e.g. WordPress), or are they custom sites? Note: A template is a sort of prototype that they would simply modify by adding your content and pictures. The amount of design is very limited, and these sites all look very similar, but this is the least expensive option. A WordPress site also offers templates, but can be customized (although the WordPress icon in the URL will be visible to your audience). A custom site is developed from scratch by a true designer, and this is usually the most expensive option. Ask them about the project process – do they create a critical path, a site map, with timelines clearly stated, etc.? Do they have writers who can write the content for the site? Is the content written from an SEO perspective or is it straight copy? What kind of SEO provision is outlined in the project? Do they write the programming for the sites? You are looking for them to tell you PHP, Java scripting, etc. Do they provide you with a Content Management System (CMS) so you can manage the site in-house? Ask them if they create wireframe designs. If yes, ask them to show you an example. If no, ask them why. The answer should speak to their expertise. What types of quality control measures are in place? Do they have references you can call? Look through their work samples, and choose ones you’d like to talk to. Make sure it is a senior person at the company, not a reference for a junior employee. How will you be able to measure the ROI of the site? You are looking for them to tell you that they use Google Analytics or other site measurement metrics. You’ll need to discuss if they will be providing on-going site measurement and recommendations. If they are not marketers, I strongly recommend you work with a marketing agency or consultant for increased site value. As a marketer and business owner, integrity is more than simply a word – it is something live by, to follow and believe in. Integrity is one of the most vital assets I bring to the table for my clients. Was this blog helpful? Do you have any questions I can help you with? Please share your questions or stories in the comments, so that others may learn from your experiences.